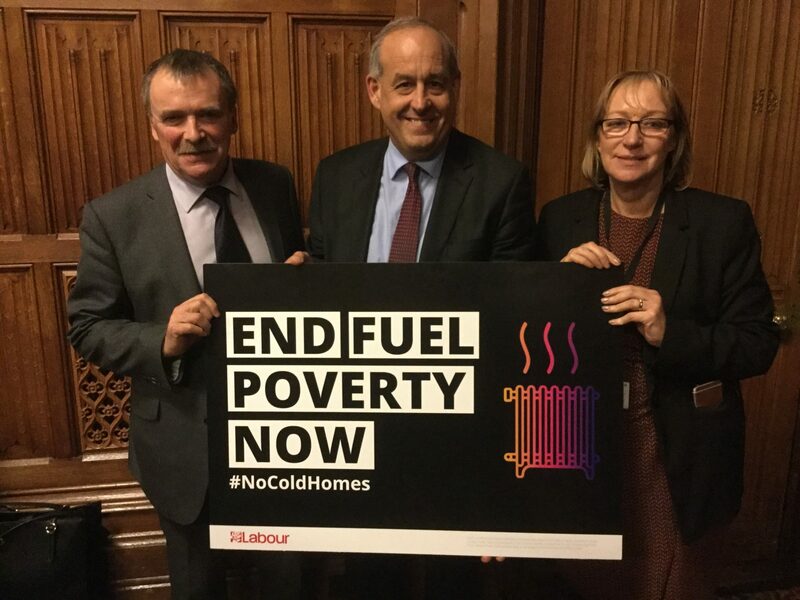 I am supporting charity National Energy Action’s Fuel Poverty Awareness Day by pledging to do more to ‘tackle cold homes’. Fuel Poverty Awareness Day is a national campaign to highlight the problem of fuel poverty, which currently sees over four million households unable to afford the energy they need to stay warm and healthy in their homes. It is a particular problem for those in low incomes living in energy inefficient homes that are difficult and expensive to heat. Living in a cold damp home can lead to extremely poor health, especially in those who are vulnerable such as older people, young children, and those with long term sickness and disabilities. Not only will it be causing misery for millions of people this winter, but also placing a huge strain on our already stretched health services. In Wales alone 386,000 households are believed to be in fuel poverty. More needs to be done nationally, however I know that there is excellent work going on in my constituency and across the UK to tackle this issue, and I look forward to working alongside others in the community to help raise awareness of the problem and the solutions available. Fuel Poverty Awareness Day takes place on Friday 17th February 2017.